GALION — The Galion Primary and Intermediate School will be hosting a Scholastic Book Fair through Wednesday, Oct. 19. The Book Fair is at Galion Intermediate School, Room 510, and will be open to students from 9 a.m. to 3:15 p.m. during the school day. 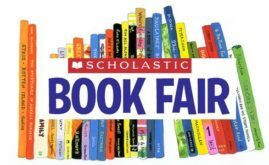 If your student is unable to attend the Fair in person, we invite you visit our online Book Fair at http://www.scholastic.com/bf/galionintermediateschool. The online Fair is available Oct. 12 to 19. Thank you for encouraging your child to read. We appreciate your support and look forward to seeing you at the Book Fair. If you have questions, you can contact Cindy Voss at the Primary School at (419) 468-4010 or Alex Sharick at the Intermediate School 419-468-3676.